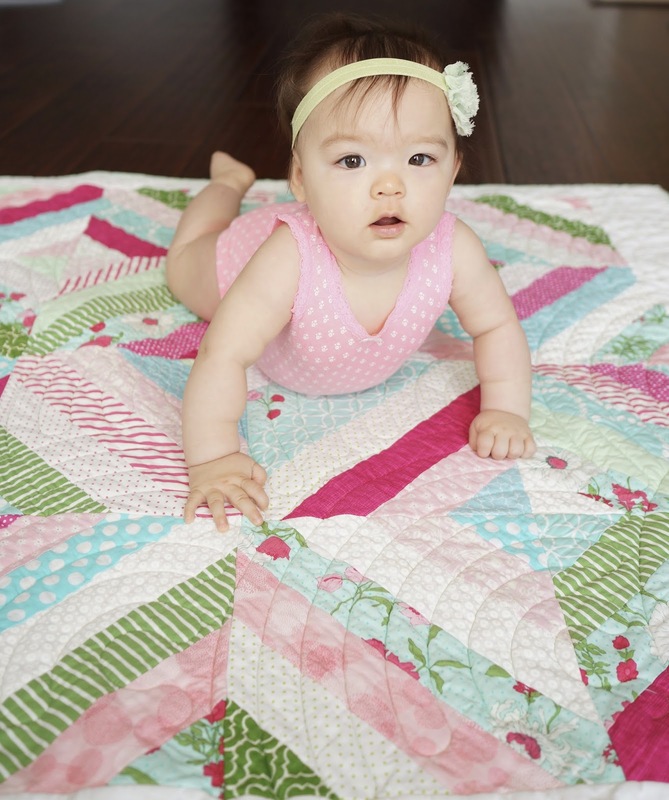 I am not use to quilts taking me forever to complete, but when you're pregnant with twins... It's hard to get much done. I was busy sleeping, eating, & growing babies. 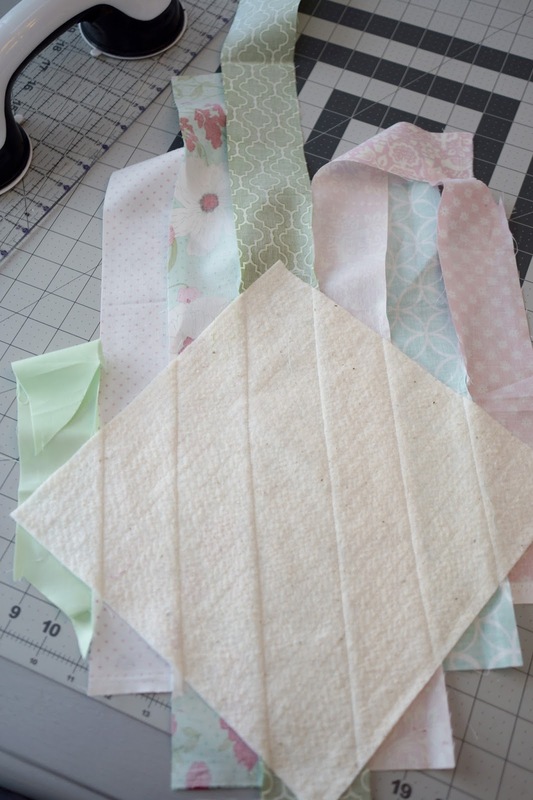 But I knew that I wanted to make my sweet littles a baby quilt (or two, or three), I already had lots of cute girly fabrics, so that was easy, choosing a pattern was the hard part! I decided to try a quilt-as-you-go. 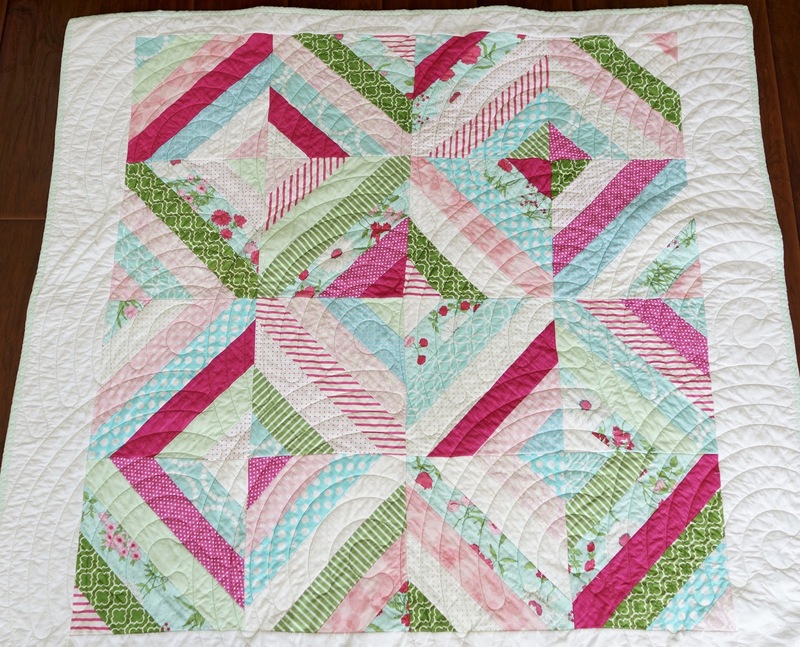 I had done it with a table runner before, but never an actual quilt. These instructions can be used either way, but I am writing them for a quilt-as-you-go. I started out with 15 fat quarters, which was MORE than enough fabric. I wanted to have a good variety. 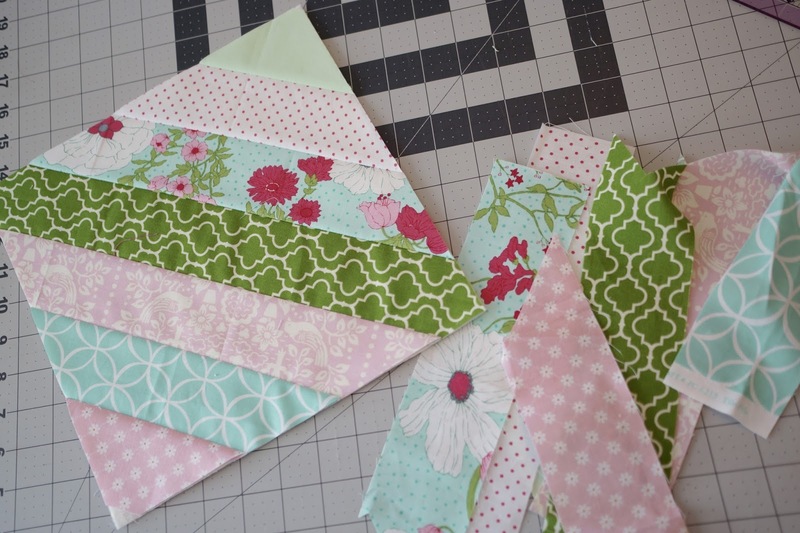 You can use as many colors & patterns as you would like. 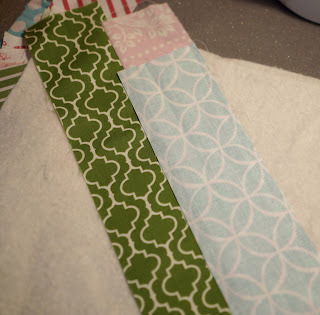 The scrappier the better, but it would look cute with some nice solids and even just two color alternating! The possibilities are endless. 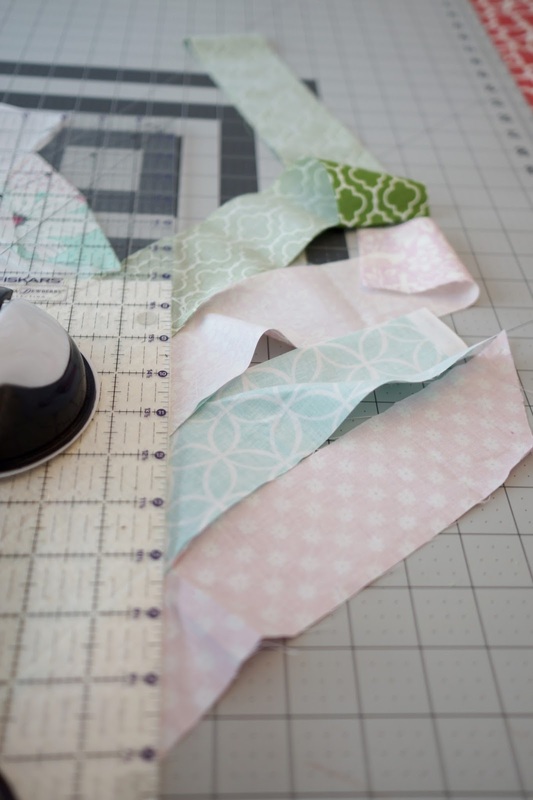 Find the center of you your first 2 1/2 inch by 2 1/2 inch strip & line it up with the center of the batting square (centers together), you can sew it down using 1/4 inch seam, or pin in place, just make sure it doesn't move. Place another 2 1/2 inch strip right side down on top of the first strip & sew a 1/4 inch seam. Remember we are sewing on the diagonal center of the batting square, you will have overhang. That will be trimmed up later. Press the seam & open it up. 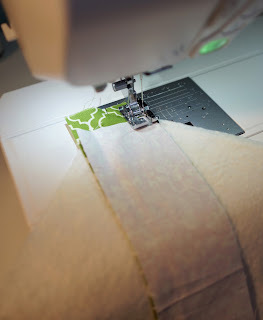 Then place the next 2 1/2 inch strip along the piece you just sewed & sew down using 1/4 inch seam. 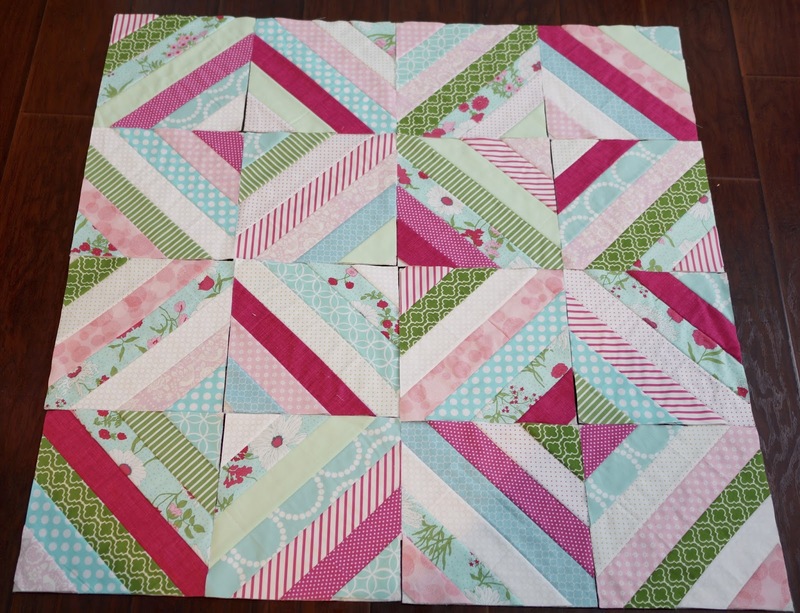 Once trimmed we end up with pretty 10 1/2 inch square & some fabric scraps! Continue making squares until you've completed 20. 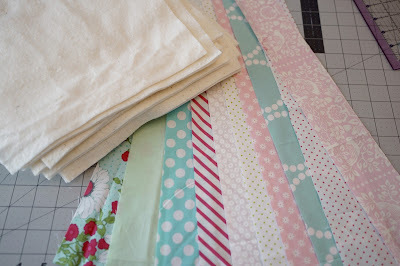 You can use a certain order of fabrics, or you can go the scrappy route like me & just put any together. You could even use the same color as the middle strip in every square, there are so many variations! I want to make every single one! 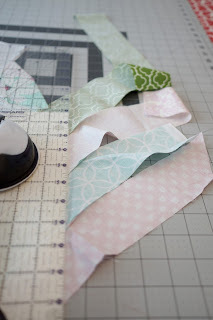 So many seams to match! I added a 2 1/2 inch border & a 5 1/2 inch border. I was planning on putting the twins names on the 5 1/2 in strip on the front of the quilt, but I decided to do them on the back instead. These two are seriously the cutest! I made this pattern into quilts for them, using different fabric for each. 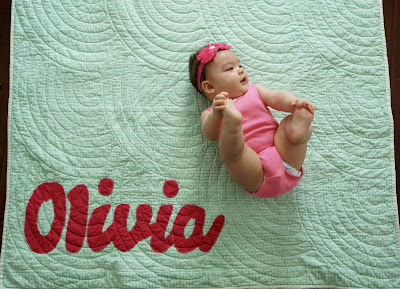 It was fun to try and design a quilt basing the fabric choices off of their personalities in the womb. Baby A (as she was known back then) seemed more docile, & I always felt bad because she was so smashed. Baby B was so active, always kicking kicking kicking, taking up the whole womb. 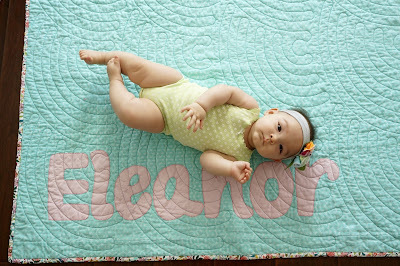 Baby A's quilt is a little softer, more delicate, & baby B's is brighter & crazier. I'm not sure that matches their personalities anymore, but that's OK.